Tummy time is an important part of a child's development, when Jack was younger and able to hold his head a lot steadier I would do tummy time in short bursts throughout the day. Jack wasn't very keen on tummy time at first however, knowing it is a key part to development I kept at it and he began to enjoy it. Jack is now 7 months old, very steady on his stomach and loves being on his stomach. 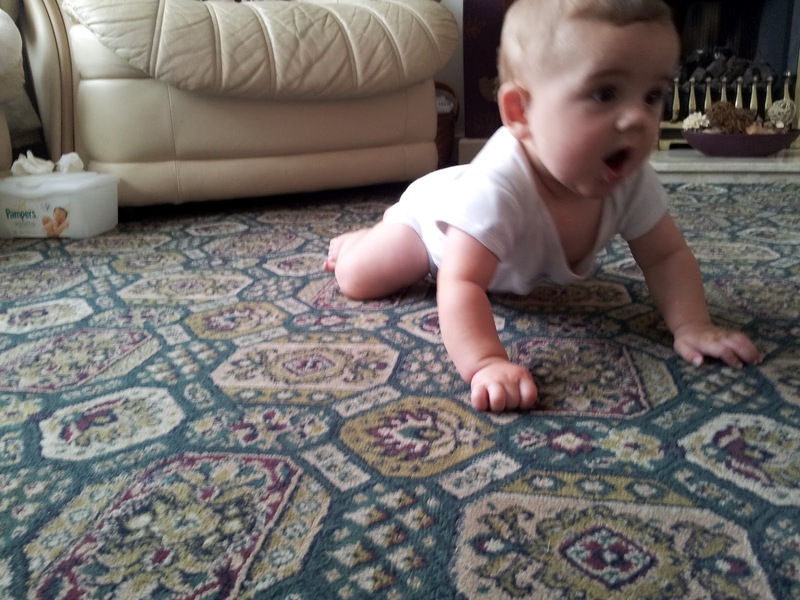 He is now also a very quick crawler, (has been since 6 months) I put this down to the amount of tummy time in which we had. Many parents cannot understand why you are encouraged to place your babies on their stomach when you are encouraged to place them to sleep on their back due to SIDS. However, tummy time is a daytime activity and babies should still be placed on their backs to sleep. Tummy time encourages a child to learn many life skills. Encouraging both fine and gross motor skills within a child. Tummy time gives babies the chance to stregthen their neck muscles, prepare them to crawl, helping them to push up, sit up and stand. Another important thing is babies who mainly lie on their backs have an increased chance of having cranial asymmetry. At first Jack hated tummy time and I was only able to participate for short periods of time. I tried various different ways to help Jack enjoy tummy time. I would get on the floor with Jack during tummy time and use various different toys. I would also use a cushion or a blanket so the ground was softer for Jack; there are various different items you can purchase to help with tummy time. Babies not enjoying tummy time is common in the beginning but there are many ways in which you can help your baby with this including the ways I have stated above, also placing your baby on your stomach so they can raise their head, making a bolster or across your forearms so they are supported by you. 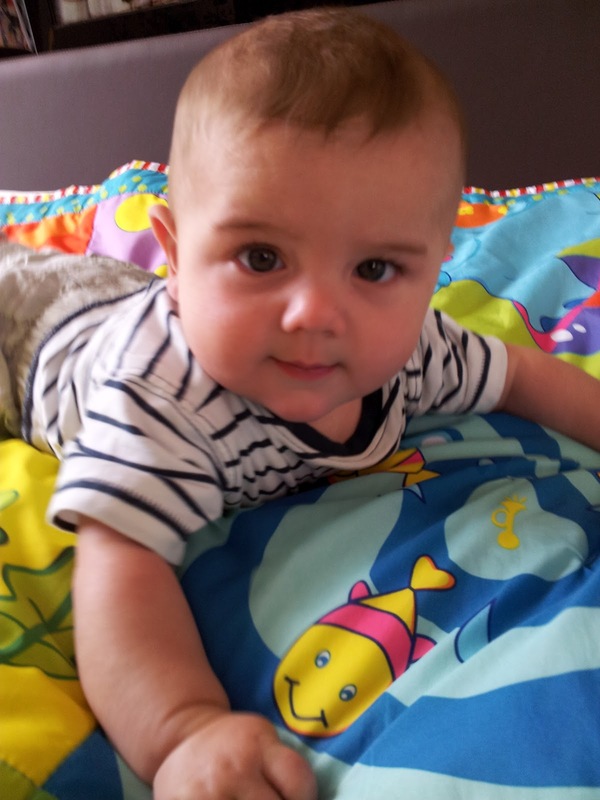 The recommended time you should take part in tummy time is 30 minutes a day. 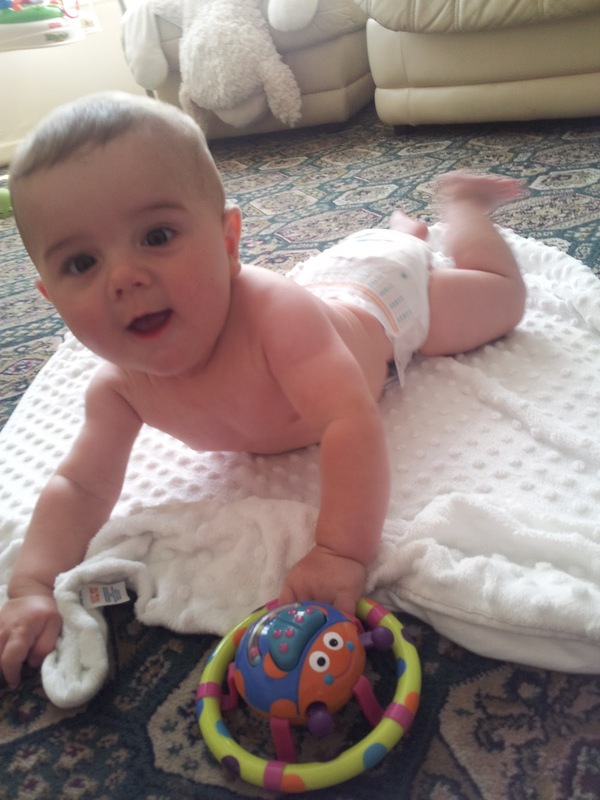 Most babies do not enjoy tummy time at first, but you shouldn't be put off by this. It is a gradual build up; your baby may only be able to tolerate 30seconds of tummy time, but various occasions throughout the day will soon mount up and your child will soon be able to do a quick stint. Finally, you may be wondering when to start tummy time with your child; this is upto the parent. Once a child's umbilical cord has dropped off your baby will become more comfortable on their stomachs and even from a young age are able to move their heads to the side.